Although the law is quite clear that an employee whose employment was wrongfully terminated would be entitled to damages from his employer, there seems to be some of sort of confusion regarding the quantum of damages, which an employee whose employment was wrongfully terminated would be entitled to. 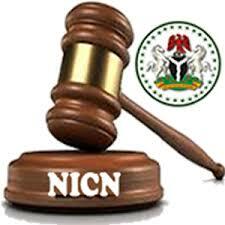 The source of this confusion can be traced to some recent decisions of the National Industrial Court of Nigeria (NICN), delivered after the 1999 Constitution of the Federal Republic of Nigeria was amended in 2010 to expand the jurisdiction of the NICN and to confirm its status as a superior court of record. Prior to the 2010 amendment of the 1999 Constitution, the law was quite settled that if the termination of an employment was wrongful, the employee would only be entitled to damages in terms of payment in lieu of notice, as stated in his/her contract of employment. This position was confirmed by the Supreme Court of Nigeria in the case ofIfeta v. SPDC (Nig.) Limited (2006) 8 NWLR (Pt. 983) 585 where the apex Court held that although the termination of the Appellant’s employment was wrongful, he would only be entitled to three months’ salary in lieu of notice and his other entitlements which he would have collected if his employment was terminated lawfully. It is instructive to note that in Ifeta v. SPDC, the Appellant’s contract of employment provided for a notice period of three months where either of the parties decides to terminate the contract of employment. The position of the Supreme Court was also followed by the Court of Appeal in the case of Bemil Nigeria Limited v. Marcus Emeribe & Ors (2009) 3 CLRN 94 at 113 Para 20-30. Notwithstanding the Supreme Court’s position on the quantum of damages which an employee whose employment has been wrongfully terminated will be entitled to, the NICN has, in certain cases, applied its discretion in awarding damages to employees whose employment were wrongfully terminated by their employers. Two of such cases would be considered in this paper. In the case of Mrs. Titilayo Akisanya v. Coca-Cola Nigeria Limited & 2 Ors (Unreported) Suit No. NICN/LA/40/2012, the NICN in its judgment delivered on 7th April 2016 awarded the sum of N17,368,468.00 representing the Claimant’s annual salary as damages for the wrongful termination of her employment notwithstanding that her contract of employment provided for one-month notice in the event of the termination of the contract. Also, in the case of Mr. John Muir v. Batelitwin Global Services Limited (Unreported) Suit No. NIC/LA/151/2011, the NICN in its judgment delivered on 13th May 2013, awarded the sum of US$193,050.00 representing the unpaid salary for the unexpired period of the Claimant’s contract of employment as damages for the wrongful termination of his employment notwithstanding that his contract of employment provided for one-month notice in the event of the termination of the contract. The pertinent facts ofMr. John Muir v. Batelitwin Global Services Limited are as follows: the Claimant was employed on a fixed contract for a period of one year as a Senior Piping Designer. About 4 months after the commencement of his contract, his employer terminated his employment without notice on the ground of incompetence and the Claimant challenged the termination of his employment at the NICN for being null and void. He also claimed the sum of US $ 208,800.00 being the total sum of his salaries from December 2009 to August 2010, amongst other reliefs, but the NICN only awarded him the sum of US$193,050.00 as damages for the wrongful termination of his employment. Interestingly, the Court of Appeal has set aside the decisions of the NICN in Mrs. Titilayo Akisanya v. Coca-Cola Nigeria Limited & 2 Ors and Mr. John Muir v. Batelitwin Global Services Limited on the ground that the damages which were awarded to the Claimants in the two cases have no basis in law since they were based on the exercise of the discretionary powers of the NICN and not on the settled position of the law regarding the award of damages to an employee whose employment was wrongfully terminated. In Coca-Cola Nigeria Limited & 2 Ors v. Mrs. Titilayo Akisanya (Unreported) Appeal No. CA/L/661/2016 the Lagos Division of the Court of Appeal in its judgment which was delivered on 17th November 2017 reduced the damages which was awarded to the Respondent by the NICN from N17,368,468.00 to the sum of N1,447,373.33 representing the Respondent’s one month emoluments in lieu of notice. Also, in Batelitwin Global Services Limited v. Mr. John Muir (Unreported) CA/L/566/2013 the Lagos Division of the Court of Appeal in its judgment which was delivered on 3rd November 2016 reduced the damages which was awarded to the Respondent by the NICN from $193,050.00 to the sum of $24,750.00 being the sum commensurate to the Respondent’s one month salary in lieu of notice of termination of his employment. The implication of the Court of Appeal’s recent decisions in Coca-Cola Nigeria Limited’s case and Batelitwin Global Services Limited’s case is that the NICN would now be expected to ensure that damages awarded in cases of wrongful termination of employment are commensurate with the notice period contained in an employee’s contract of employment, as against using its discretionary powers to award damages at large. In addition, Counsel also have a duty to ensure that they do not file claims for exaggerated reliefs in respect of lawsuits pertaining to wrongful termination of employment since the Court of Appeal, which is the final Court on employment related matters, has settled the issue of the quantum of damages, which an employee would be entitled to, if his/her employment has been wrongfully terminated. It should be noted that this article is for general information only. It is not offered as advice, on any particular matter, whether legal, procedural or otherwise. If you have any questions about this article, please contact the author. Managing Partner at Abdu-Salaam Abbas & Co.